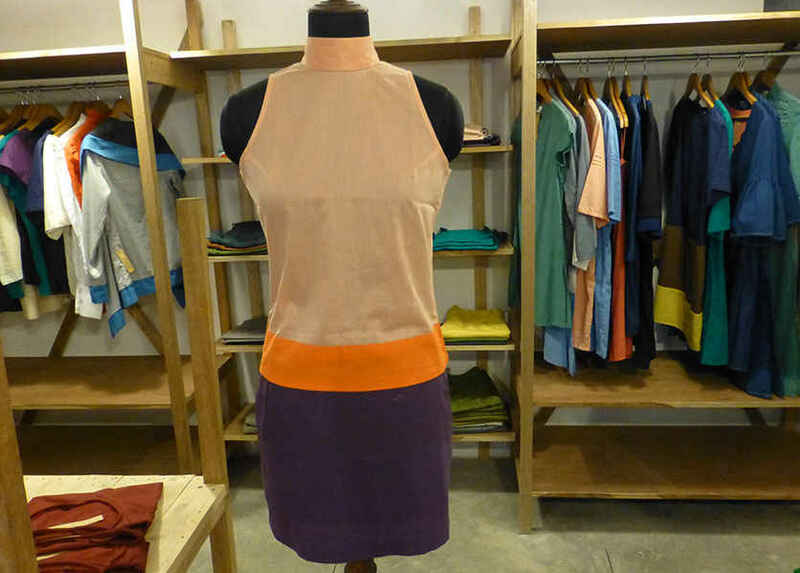 Lila is a discerning, pretty design lab housed in one of the by-lanes of the upscale urban village of Shahpur Jat. 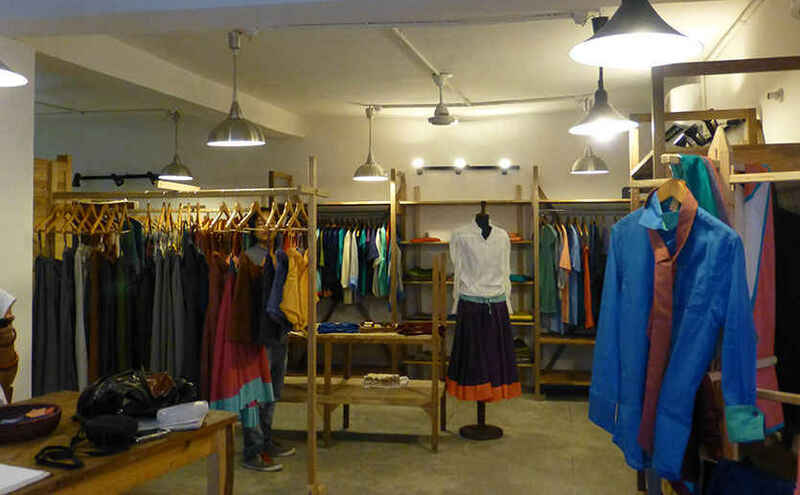 The store itself, its décor and ambience spell classy minimalism which is also seen on Lila’s creations donning the racks. As an envisioned high-street brand, Lila understands the urban contemporary design language using pure and natural Indian fabrics, which are sourced and fabricated in alignment with the climate. There is something to be found here befitting all ages, shapes and sizes for both men and women. Playing with solid colours and textures and turning them around to give form to stunning, detailed streamlines, colour lines, pintucks, cross pintucks smocking, appliqués and interesting machine stitching - et al, make for quiet sophistication exuding laidback vibes. Structured work is merged with modern silhouettes and underplayed patterns flattering all ages, bodies shapes and forms results in contemporary creations steeped in the tradition of textiles. All garments are preshrunk and machine washable. Once you step into a pair of pants from the house of Lila, you’ll be hooked for life! 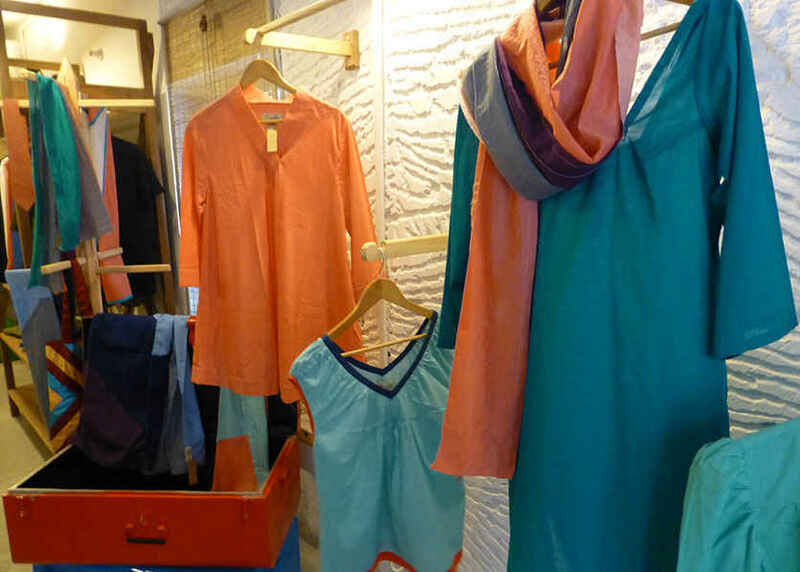 Ready-to-wear tunics, skirts, jackets, tops, stoles and scarves for women and shirts, trousers, ties, kurtas are all available as separates and can be coordinated with anything you lay your hand on. Have fun mixing ’n’ matching! Men’s ties are pretty natty too, and teamed with one of the in-house shirts can make a debonair style statement. Team it up with a Lila messenger or a canvas bag / satchel and you are set to go. Customization is undertaken well at Lila. The sizes available go from XS to L. All sizes, colours and fabrics can be styled and interplayed with, to suit the individual persona. The swatch basket at the reception desk comes in handy here to explore your options. The collection is as minimal as its design. Each piece is a limited edition. Mass production is just not on in here. What is unique here is the flexibility and adaptability of the clothing which you could team up with an accessory and a smart bag to suit any time of the day or occasion. Semi-casual to casual wear, stuff works round the week from a picnic to a work luncheon / dinner. They are very conscious about the community and their role as a responsible citizen and are careful not to let progress leave tradition behind. The brand, while catering to the high street fashionistas, stays rooted to the ground as it believes in giving back to its roots. Local labour, skilled artisans and master craftsmen all encompass the team of Lila and form the core group of all things created. Collaboration with an NGO is maneuvered towards taking this goal to the next level. Continuously evolving, every Sunday something new hits the shelves, keeping its patrons engaged. The reach is accessible at an average range of Rs 1,500 - 2,000; a steal for a Lila product. Come drop by soon!